Many UAE residents are now casting their gaze on Germany’s booming property market, which has recorded a spectacular growth in the last decade, making it a winning destination in the eyes of international property investors. With its affordable property prices, low interest rates and high rental yields, Germany offers a compelling property investment opportunity. Its growing population and chronic housing shortage mean there is a huge demand for rental property, driving a huge increase in rent and real estate prices. To international investors, Germany is particularly attractive as it offers no capital gains tax for property owned over 10 years, which when combined with one of the strongest rental markets in the world, ensures a constant cash flow. With a thriving economy and stable political climate, Germany is also seen as a safe haven for investors. Here are three German cities we believe will offer a profitable investment. Germany’s capital city, Berlin, was named the top market for real estate investment and development three years in a row (2016-18) in a report by PWC and the Urban Land Institute. The city ranked first not only for investment, but also development and prospects for rental and capital growth. Factors such as Berlin’s robust economy, accelerating population and transformation into a cosmopolitan business hub make the city a very appealing location. Berlin has huge potential to grow as its diversification into digital, technology and service-based sectors has led to 250,000 jobs created in the last decade, while the government’s extensive regeneration campaign has meant that 400,000 new residents are expected by 2030. In comparison to other global cities, property in Berlin also remains very affordable, particularly in the outer areas of the city. Neighbourhoods in the south-east such as Köpenick are a great choice due to owner occupancy rates of up to 90 per cent. 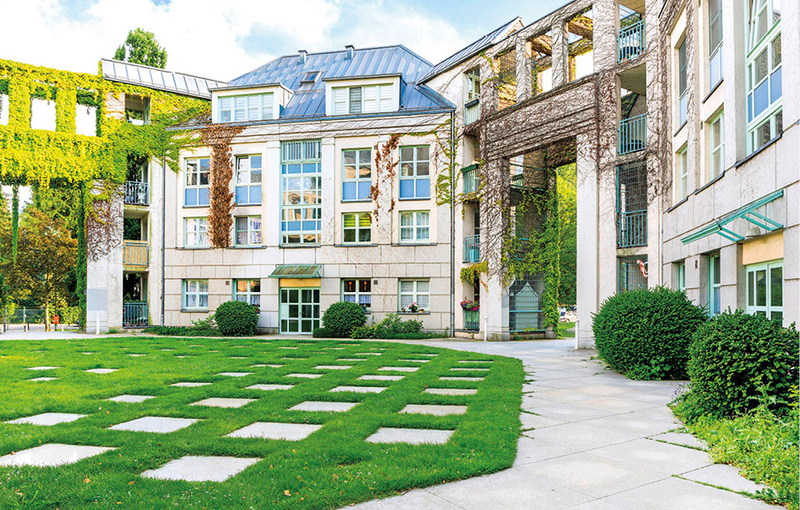 In 2016 Köpenick achieved 9.1 per cent rental growth, the third-highest rental growth in Berlin, making it the ideal location for IP Global’s The River Gardens, which was launched last year. Finally, one of the strongest reasons for investment in Berlin is the rule of supply and demand. As the population continues to grow and vacancy rates at 1.2 per cent, Berlin is currently suffering from severe housing deficit. At 14 per cent, Berlin also has the lowest ownership in the country. Therefore, investors will not only immediately receive increasing rent revenue, they will also make a significant capital gain when reselling. With house prices increasing by approximately 40 per cent from 2009-16, the central city of Frankfurt has caught the attention of global investors. 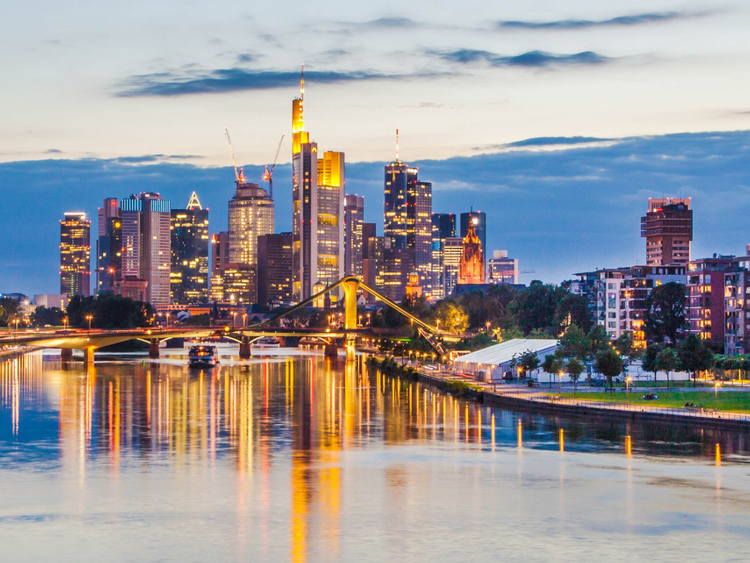 As the financial centre of Germany and home to the European Central Bank, property prices in Frankfurt will continue to rise as its economy is propelled by the growing workforce. In recent years, Frankfurt has increased its appeal within the business world, as the UK’s decision to leave the EU has caused over 20 London-based banks to migrate to the city. Frankfurt also has the largest airport in country; it is easily accessible from most major cities. At 6.4 per cent, Frankfurt has a low unemployment rate in comparison to other German major cities. Further north, Hamburg boasts the highest GDP per capita in Germany. The $15 billion (Dh55 billion) regeneration of Hamburg’s Hafen City, the largest in the EU to date, is an example of the city’s commitment to improve its citizen’s quality of life. With the population swelling and a third of the city’s residents below the age of 30, coupled with a 0.7per cent vacancy rate, housing prices have grown 70 per cent since 2009. The good news for future investors is that this development has been partly due to low interest rates, the normalisation of which is still expected to be several years away, making Hamburg still a ripe property location for investors. On reflection, Germany has emerged as an attractive alternative to more traditional safe havens such as London or New York, where prices have risen astronomically recently in prime areas. Due to the multiplying population and critical undersupply of housing, its major cities of Berlin, Frankfurt and Hamburg have become popular property investment hotspots. Richard Bradstock is the director and head of Middle East at IP Global. The views expressed here are his own.